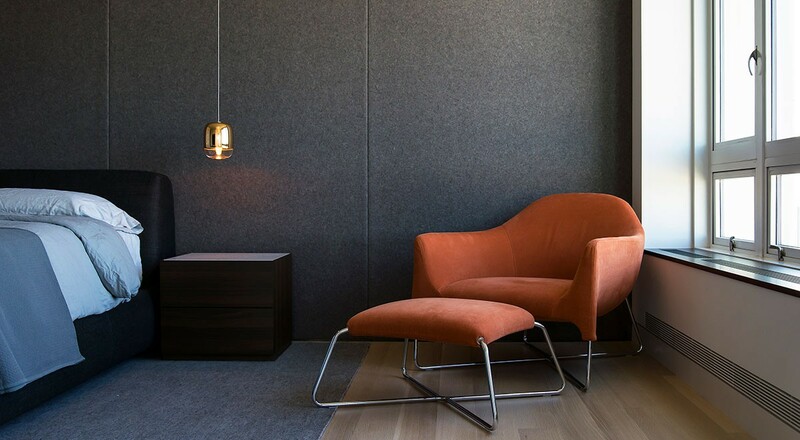 In this jewel box of an apartment, dramatic lines and dark colors highlight the panoramic views of San Francisco. 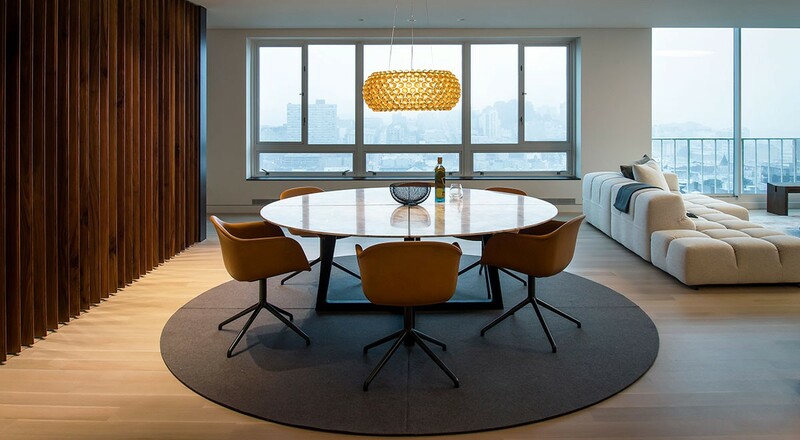 But while the view draws the eye out, 100% wool felt helps to bring the focus back to the oh-so-cozy living spaces. A Custom Floor Covering defines the open dining room with machine stitching in gold thread, a subtle nod to the upholstery and light fixture. 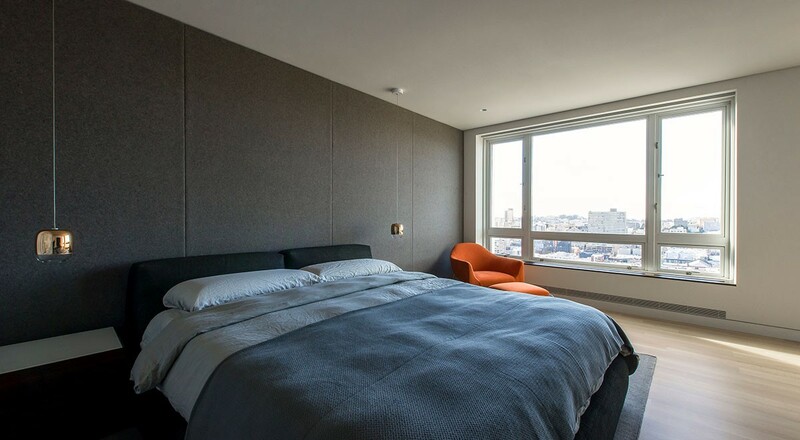 3mm Wool Design Felt in the same grey hue adds softness and provides sound dampening in the bedroom. 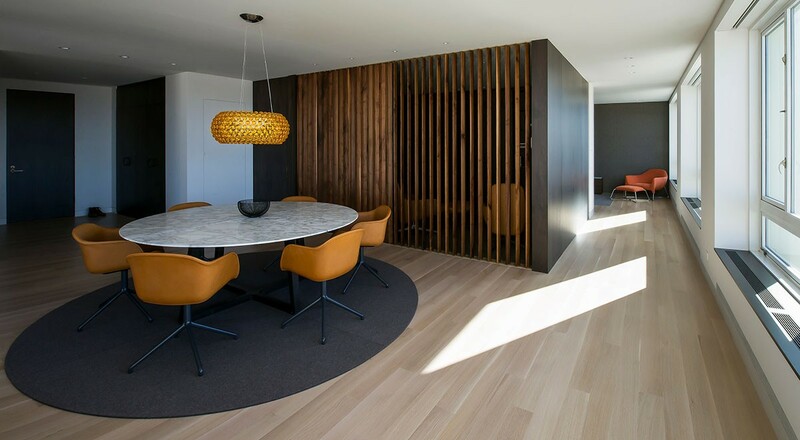 The felt-wrapped paneling features an unexpected chamfered edge detail to break up the expansive wall. 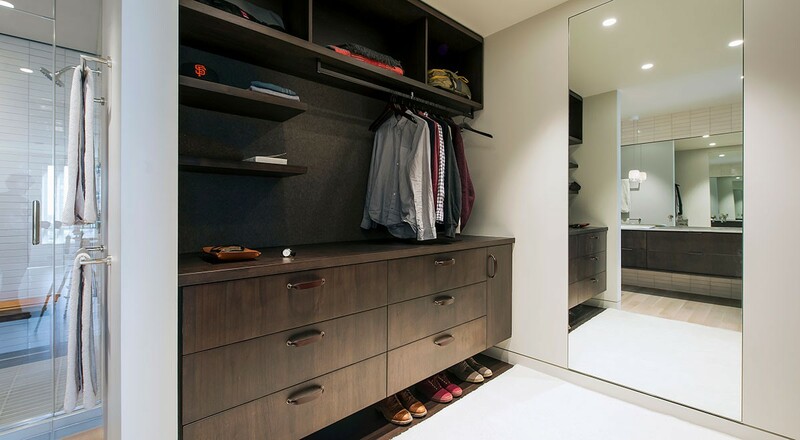 And in the adjacent closet, even the clothing gets a dramatic backdrop with additional felt wallcovering. For more information on the products featured, please visit 3mm Wool Design Felt and Custom Floor Coverings.